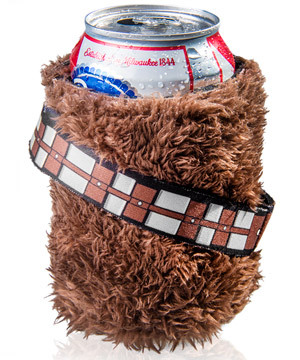 Chewbacca Fur Koozie: A plush wookie holder for your drink. A plush wookie holder for your drink. 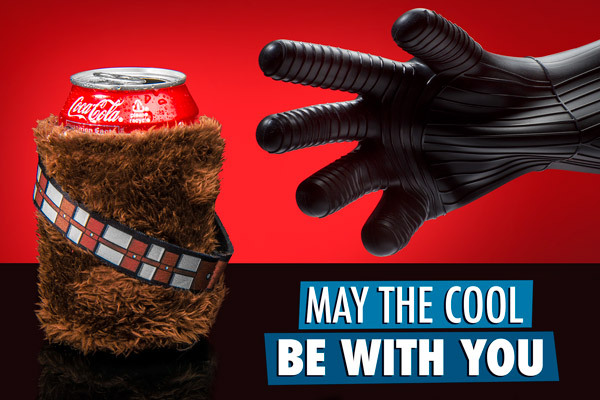 The most lovable sidekick in the galaxy is here to help you enjoy a cold one. The Chewbacca Fur Koozie has the scruffy fur and trademark bandolier of the loyal Wookiee with none of the anger over trivial holographic board games. The plush fur feels good on your paws while the inner neoprene sleeve traps in the moisture farm of condensation that forms on your drink. It’s the best way to enjoy a cool drink with your best friend—furry or otherwise. Even without his bowcaster, Chewbacca can still guard your drink against luke warmth. The furry first mate is represented in a cool koozie that creatively recreates the famous character using only a couple of choice accessories. It’s a unique design that makes this officially licensed Star Wars koozie worth smuggling into your bar or cantina. When deciding which koozie to use, let the Wookiee win. 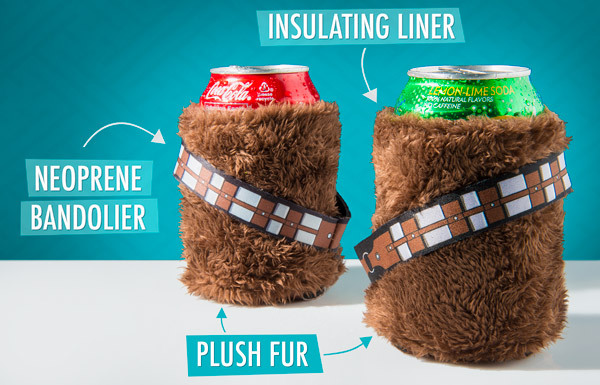 The Chewbacca Fur Koozie’s plush exterior makes it comfortable to hold in your hand while the neoprene liner provides reliable insulation. The neoprene bandolier affixed diagonally across the koozie completes the iconic ensemble, giving it a fun design that one customer praised as, “AARRR WGH GGWAAAH!” We couldn’t agree more. Maybe now he’ll get his medal from A New Hope. Question: Is the bandolier going to fall off while I use the koozie? Answer: The bandolier on the Chewbacca Fuz Koozie is affixed to the top and bottom of the koozie. It will stay on unless torn off. Question: Do Wookiees prefer showers or baths? Answer: Can’t answer that one. But we do know that the koozie can be spot cleaned with cool water.